Universities around the globe are participating in the project "Business Contributions to the SDGs – A Student Assessment", with 1300 students at 11 higher education institutions in 9 countries engaged in 2017. Building on the over 20,000 data points on corporate sustainability performance aggregated in 2017, the project aims to double the amount in 2018, creating further possibilities for analyzing and understanding corporations’ performance and disclosure rates to the Sustainable Development Goals (SDGs). This project brings together institutions and students around the world to research how corporations impact and contribute to the SDGs. Students use public documents to gather data on corporate sustainability performance according to a topic or SDG, for example SDG 3: Good Health & Well Being, aggregate the data on the WikiRate platform, and then use the data to address a specific research question. Some students use the data-gathering process to critique the different approaches of reporting and disclosure, and to consider what kinds of information is missing or difficult to compare. Others use the data to analyze disclosure rates or performance of a company over time. All the students learn more about how data is obscured, nuanced and difficult to compare, and think about the challenges of gathering data to understand how companies impact the SDG objectives. A full report on the 2017 pilot phase included analysis of the data collected with respect to corporate disclosure rates across sustainability topics and specific SDGs; and research on the curriculum integration from a pedagogical perspective, alongside assessment of learning outcomes and student and professor experiences. The pilot outcomes were presented to member states during the 2017 UN SDG Forum at the High-Level Political Forum in New York, to showcase this effort to track company progress to the SDGs. 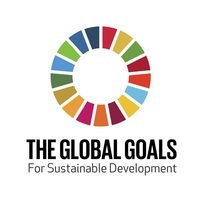 Support the UN Global Compact and UN member states in efforts to analyse and assess business contributions to the SDGs. An analysis and report of the 2018 phase of the project will be published, contributing to government and civil society efforts to track corporate activity and impact on the SDGs. Possibilities for presenting the research and activities by students and professors at international and academic conferences will also be explored. Students receive a certificate of participation for their research efforts and contributions. If you have an interest in participating in this project, or want to learn more, get in touch through our contact form. While much research on WikiRate focuses on the sustainability performance of companies, and analysis of that data, the same approach can be used to understand and compare university sustainability performance and impact. There are many frameworks for this, and some which are heavily adopted by universities across certain regions. A pilot project using Higher Education Statistics Agency (HESA) and The Sustainability Tracking, Assessment & Rating System (STARS) metrics was run in early 2017 with professors and students at the University of Michigan in the United States and University of Worcester in the United Kingdom. 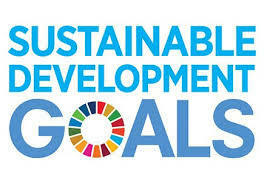 In the initial stage, metrics were mapped to the SDGs to provide a framework for universities to start to understand how metrics link to specific SDGs with the hope that it will enable universities to connect business strategies and teaching with global priorities. Would you like to learn more or get involved? Visit the project pages for more project specific information, write us at info@wikirate.org or use our contact form.